Wash and dry your fruit, cut your strawberries in fourths, now you’re ready to go. You can make them in fun patterns or just random. 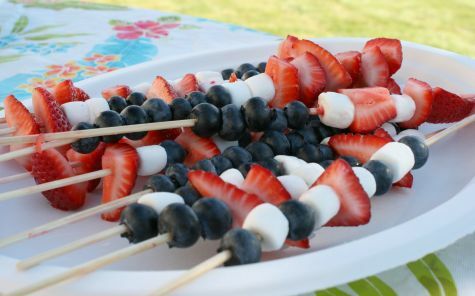 A helpful tip: add your fruit first, as it will help the sticky marshmallows slide right on down. 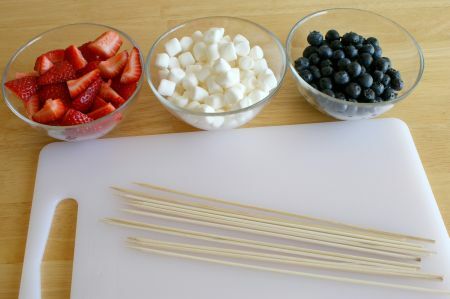 If you try to add a marshmallow to a dry stick, it will get all gummy and sticky.